I know it’s wet and cold outside but it’s still prime time for riding and racing. dhReno is proud to say, We’re putting the band back together and going racing! Our 2012 team of 15-20 riders will be focusing on riding hard, having fun, and learning new skills as a team. 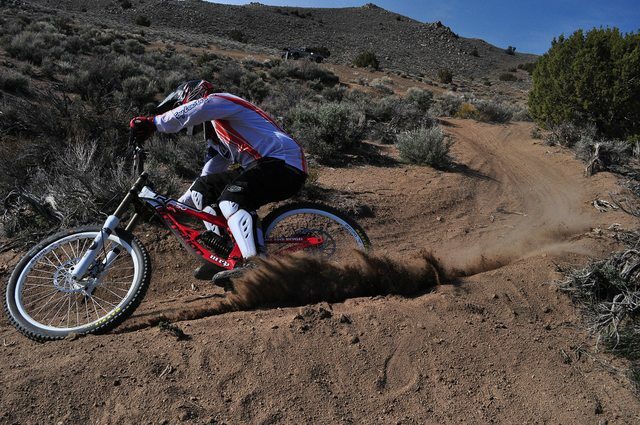 We are looking for riders of all skill levels from in and around the Reno and Tahoe area. We don’t expect you to win every race, or even place for that matter. We just want to get a group of fun loving riders together that have a great attitude on and off the trail. As a team rider, a $100 fee will get you a jersey, team pricing on products sold by Black Rock Bicycles including all parts, frames and forks currently available. Access to a crew of very knowledgeable mechanics to help with any troubles you may have with prerace tuning and a whole network of people to ride, race and dig with. To apply, please send a brief bio to GoinDH@gmail.com. If you are a returning team rider please email for more info. Curtis we have to talk… 951… 🙂 my Uzzi could use a break. Some of us will be riding Sunday the 12th. If you want to ride the DH trail, meet at the Softball fields around noon. Wow, how can i be a mechanic for this? Wow, Cant wait! Lets ride! Absolutely in. I’m excited to get on the DH bike again. It really is a good opportunity to save HUNDREDS of dollars on frames, forks or even full DH bikes.